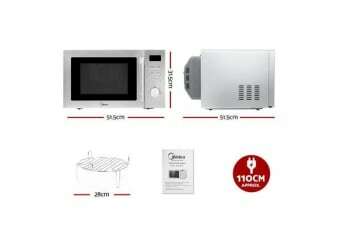 Nothing beats having a good microwave oven to prepare your meals fast and good. And our stylish stainless steel Midea Convection Microwave Oven is perfectly designed to do that. In fact, it can perform a diversity of cooking methods: microwave, convection and grilling. Whichever way you choose to do it, you can be assured that your meals will just as delicious as ever. 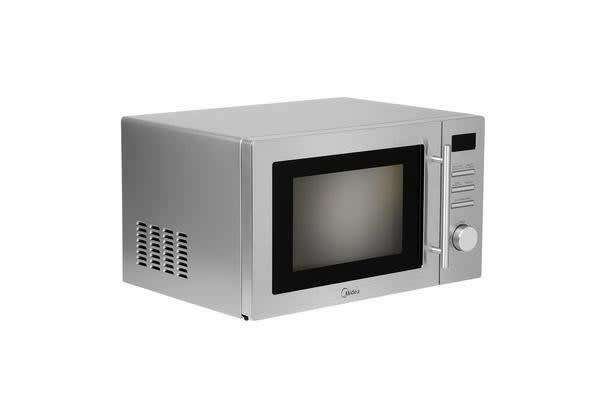 Using the microwave is super easy with the button and dial control with a clear LED display. The smart microwave oven comes with 10 pre-set cooking menus, adjustable power levels and a 95-min cooking timer to help cook your meals to perfection. 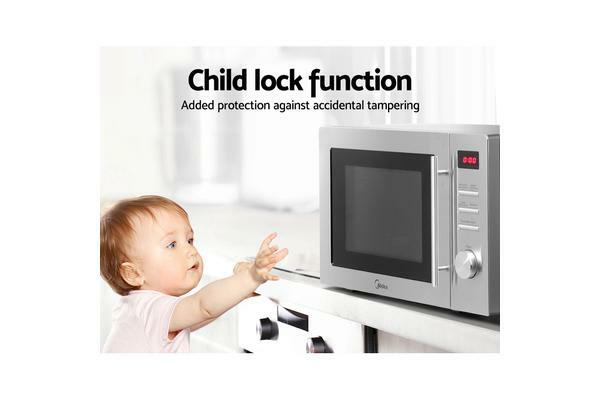 It also has other great features like defrosting by weight or time, combination cooking, multi-stage cooking, child-lock and function completed alert. The glass turntable is also removable for easy cleaning and it comes with a bonus grill rack.